Starring Luciano Pavarotti, Yes, Giorgio is the story of an Italian opera singer who, very much like one of the characters he portrays on stage, falls in love with a beautiful young woman and has a racy extramarital affair with her. Directed by Franklin J Schaffner, it co-stars Kathryn Harrold. It features the theme song “If I Were In Love,” composed by John Williams and sung by Pavarotti during a romantic balloon ride shared by the two main characters; the song was nominated for an Oscar. Giorgio Fini is a famous and beloved Italian opera singer. He is adored worldwide for his stentorian voice and his high Cs. While touring America, he loses his voice and seeks the help of a throat doctor, Faye Kennedy (Harrold). Kennedy is blonde, wide-eyed and independent but taken with Giorgio. Their romance commences at once, despite the facts that Giorgio is quite married and has no long term intentions with Dr. Kennedy. Before losing his voice, which Dr. Kennedy later proposes is psychosomatic, several opening scenes reveal the kind of man Giorgio is and provide audio samples of Pavarotti's heavenly pipes. In the opening scene, Giorgio is at a friend's wedding in Italy and singing “Ave Maria.” He then departs to keep an engagement elsewhere. En route to the airport, he picks up a nun broken down at the side of the road. She's incredulous of his vocation, so he sings to convince her as the Italian countryside unfolds in the background. Giorgio arrives in Boston, switching from Italian-subtitled-in-English to actual English. Almost immediately, his throat problems begin. Enter Dr. Faye Kennedy. She invents a condition to convince Giorgio there is an empirical basis for his ailment as well as its corresponding treatment. Dr. Kennedy begins traveling with Giorgio to help him overcome his vocal issues. 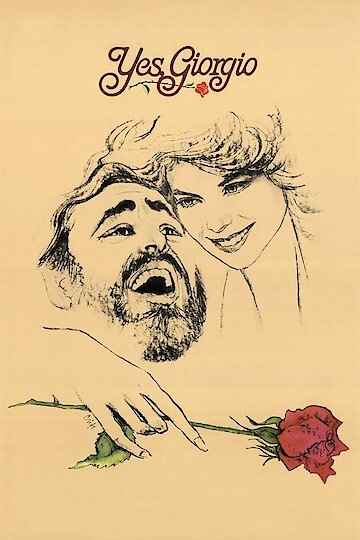 Along the way, they both fall madly for one another, and several love scenes are underscored by Pavarotti's singing, including several of his greatest hits. Yes, Giorgio is currently available to watch and stream, buy on demand at Vudu, Google Play, iTunes, YouTube VOD online.